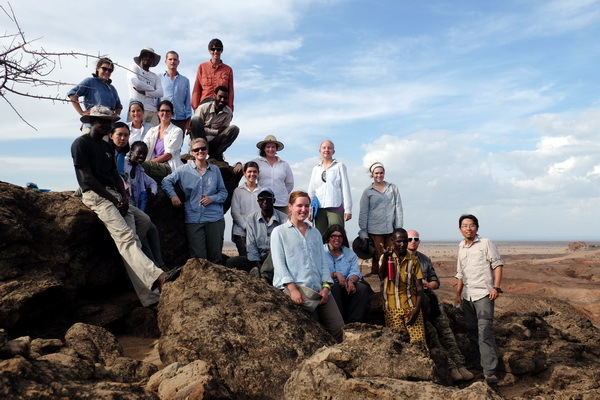 The TBI Turkwel campus has one of the best outlook points around the area: the roof of the research labs. From there, several landmarks in the region are clearly visible. 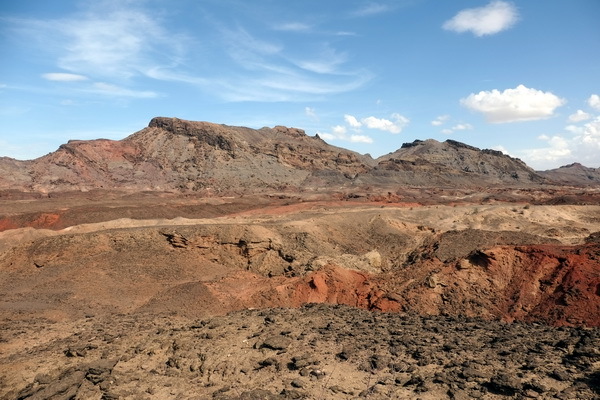 Towards the south, there are two peaks barely noticeable above the horizon. 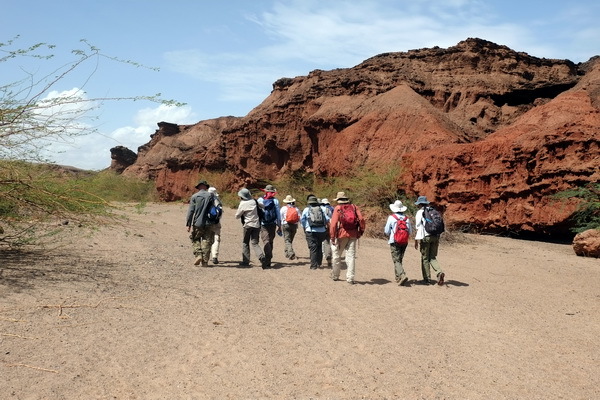 They are in the area known as Lothagam, geologically one of the most beautiful places on the west side of Lake Turkana. 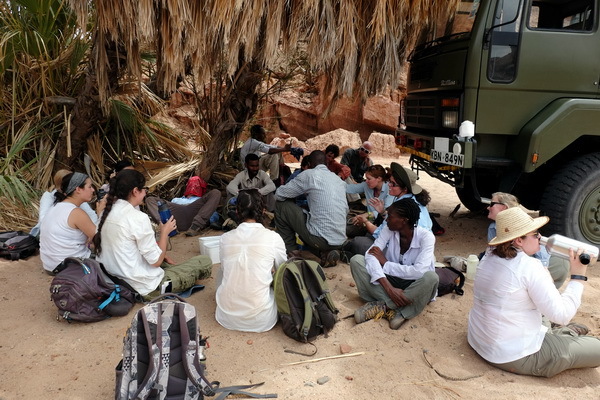 In fact, previous field school students used to go to Lothagam for a couple of days in the Geology module. But Lothagam has more to offer! 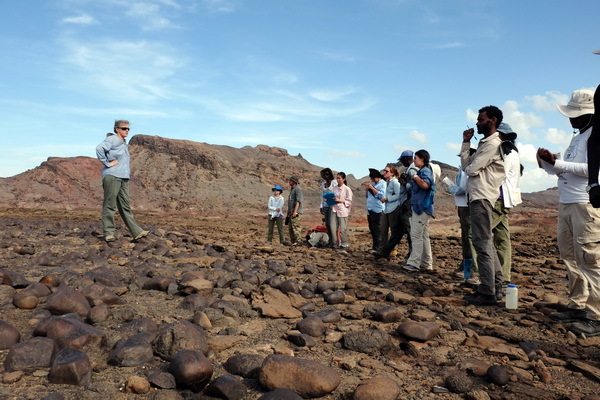 This time, students visited Lothagam for a tour of its archaeological grandeur. 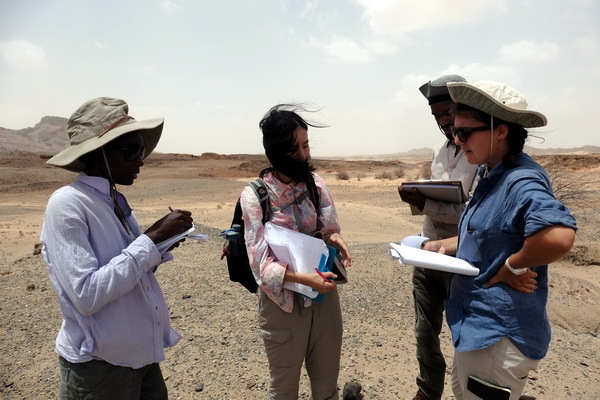 Lothagam is about an hour away from TBI Turkwel. 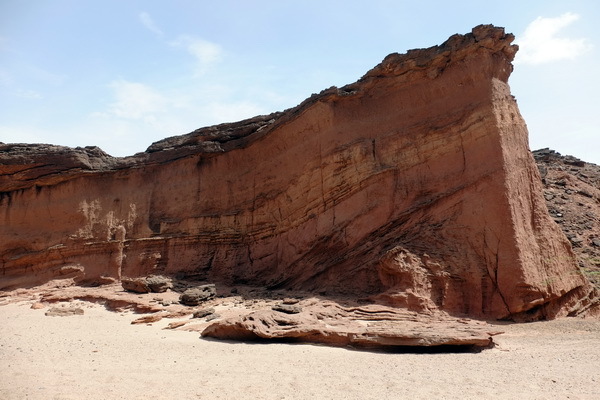 Geologically, it is known for its distinctive red sediment beds that were laid down during the late Miocene, about 7 million years ago. 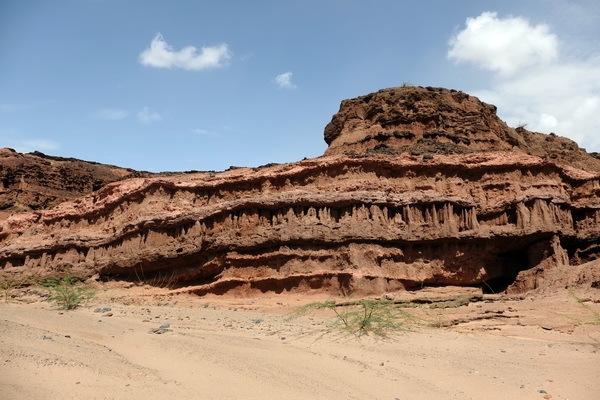 Because of the tectonic activities in the basin over millions of years, the beds have been tilted, deformed and eroded. 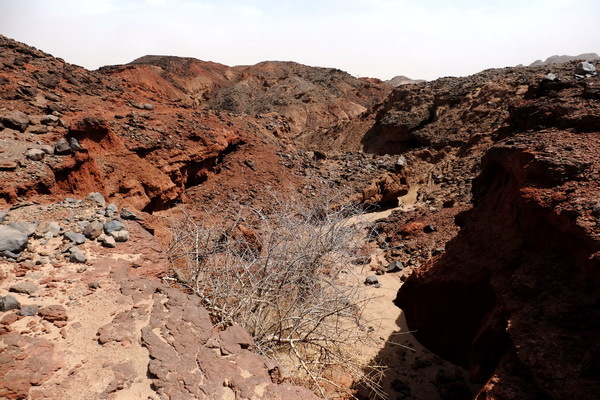 Some of the iron-rich sediments have been slowly chiseled away by rain, leaving behind winding gullies and gorges. 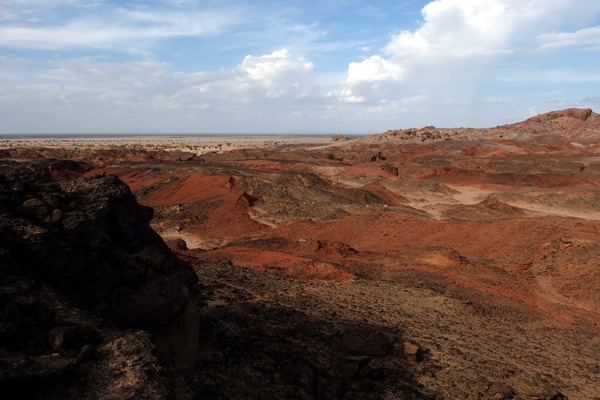 The landscapes are so stunningly bleak that they resemble the surface of Mars. 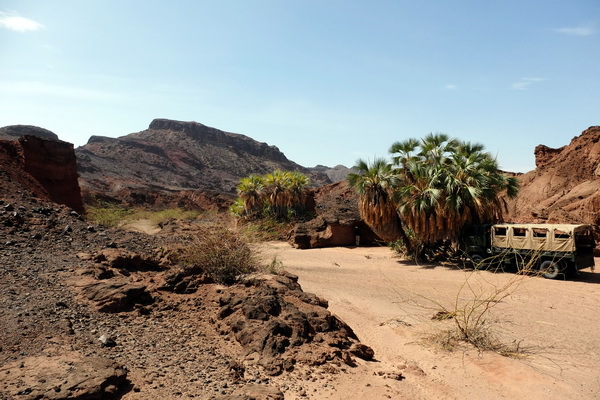 Because of the lack of vegetation and shade, a typical day in Lothagam is very challenging, with high temperatures reaching 110 ℉, or 40 ℃. Luckily, some clouds joined us for the trip, which made our day much easier! 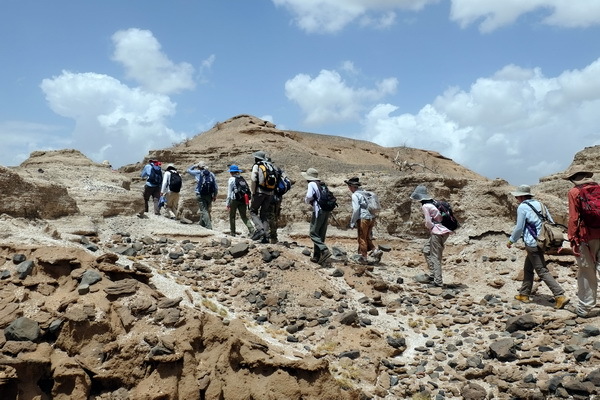 Apart from the geological magnificence, Lothagam is also known for its archaeological significance. 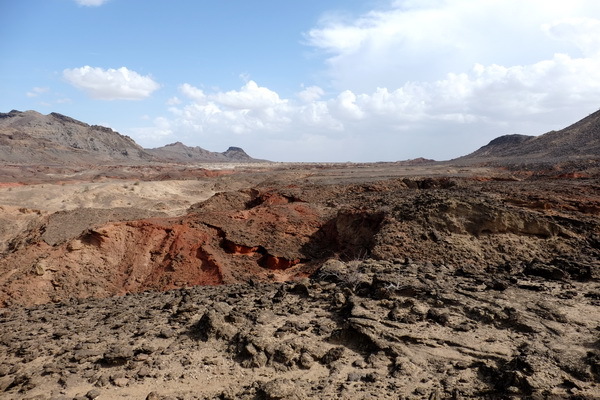 On the far side of the Lothagam valley, there are white sediment beds that are clearly out of place compared to the red bedrocks. Upon a closer examination, students realized that these are molluscan shell beds! 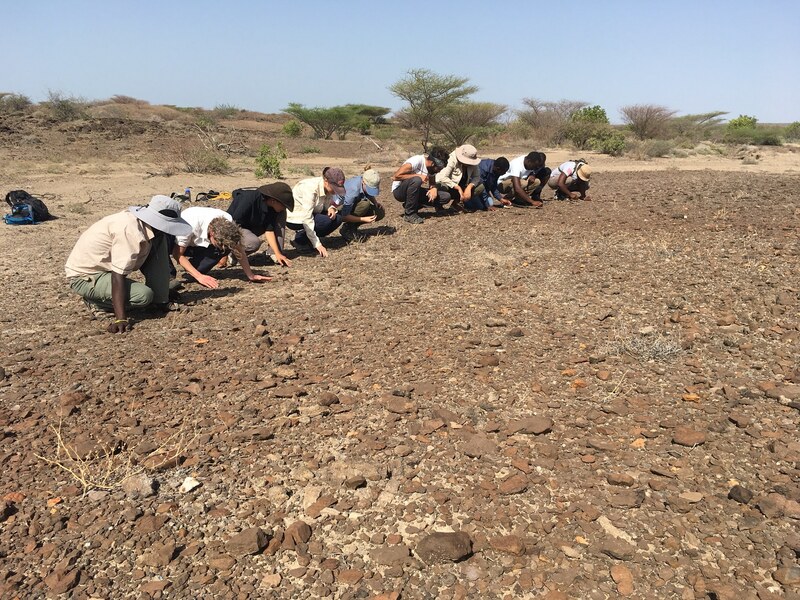 They were laid down by ancient Lake Turkana about 8000 years ago during the early Holocene! 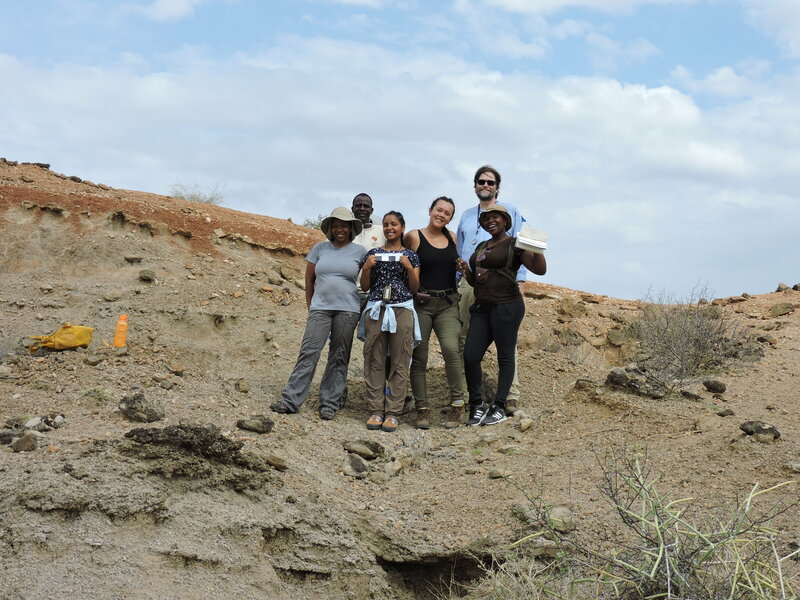 In our previous modules, we learned that the water level of Lake Turkana wasn’t always like we see today. 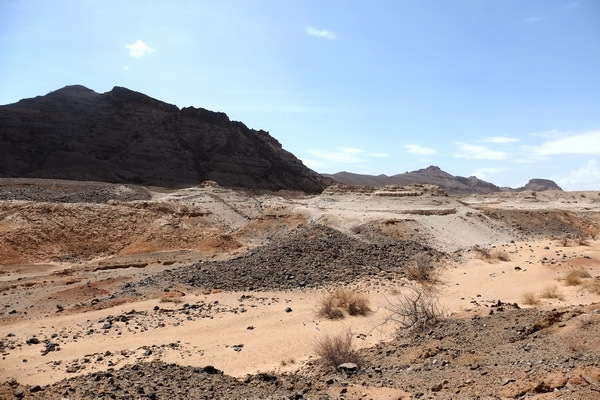 In fact, during early Holocene, the lake was 80 meters higher than what it is today! 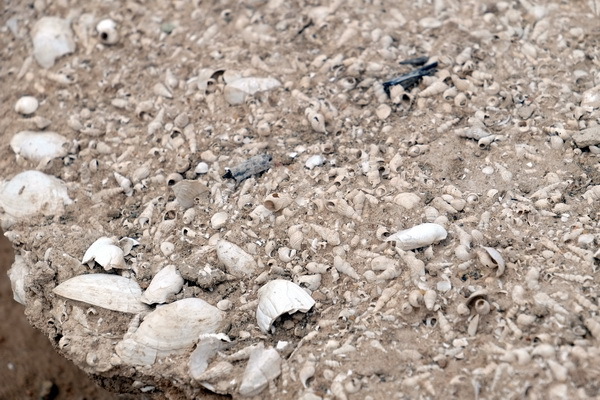 The evidence comes from these shell beds in Lothagam, and many other places including Ileret and Koobi Fora. 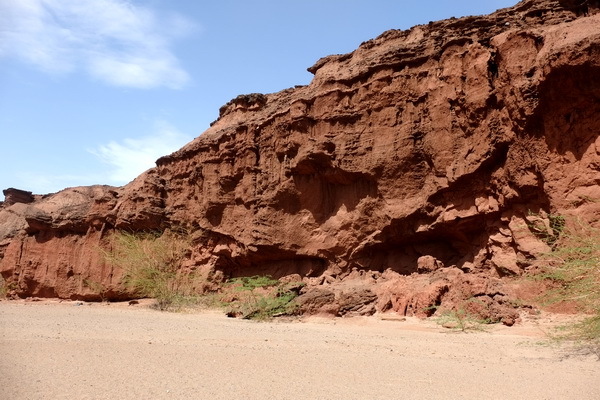 This ancient lakeshore provided important resources to the people who lived in the Turkana Basin. Some of them left behind a rich record of their belongings, which is exactly what we were looking for! 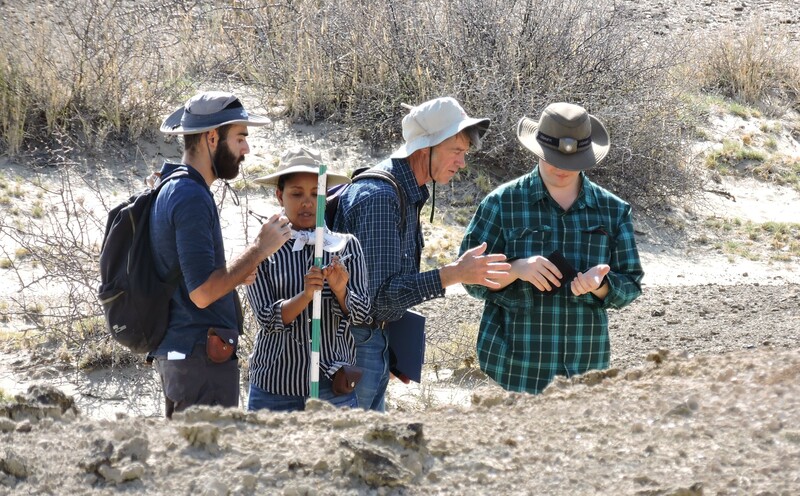 Professor Lisa Hildebrand, an expert in Holocene archaeology, led an intensive survey with the students. The results were amazing! 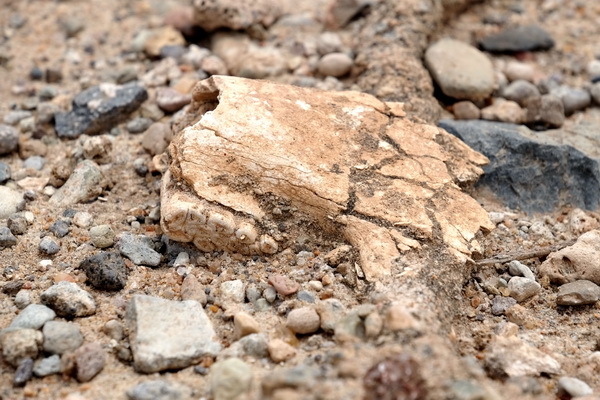 The areas we surveyed were littered with stone tools, harpoon tips, pottery and animal remains! Mollusc shells make the sediments white! 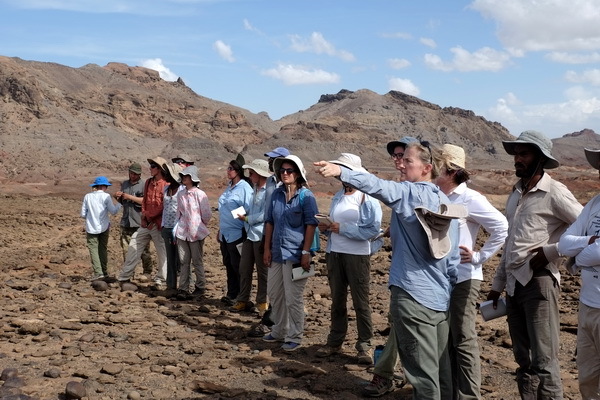 Apparently, the people who lived in Turkana didn’t just stop there and make a bunch of stone tools. 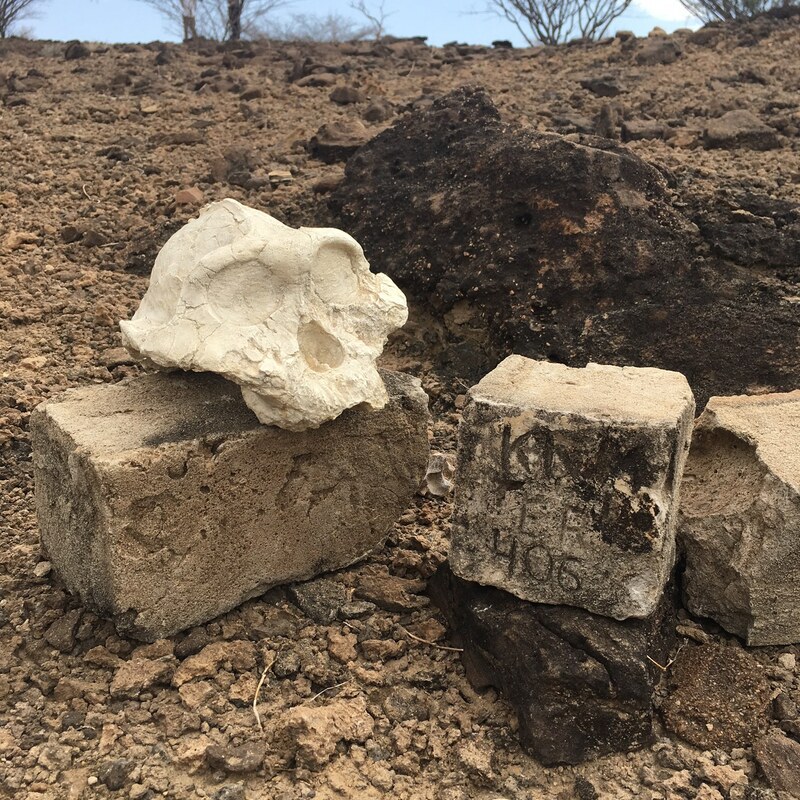 They also built stone structures: pillars with large platforms in the Lothagam area. 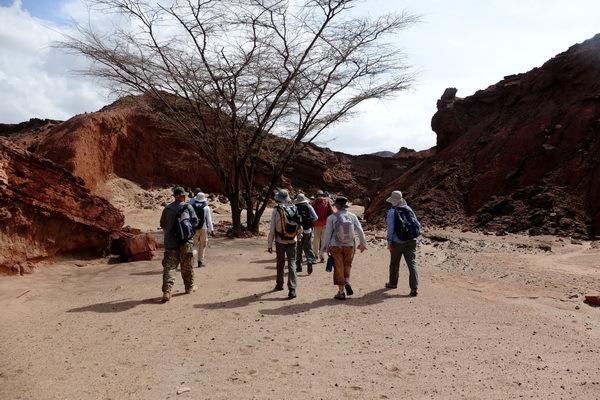 In a previous blog, we mentioned the pillar site in Kalokol on our way up to Nariokotome. The Lothagam one is much larger. 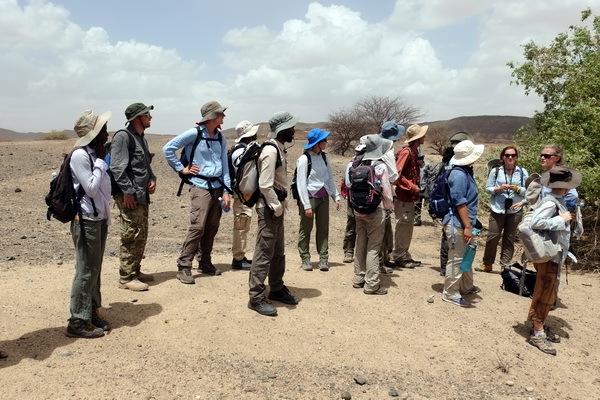 After a short rest for lunch, students were on the march again to visit the archaeological site. 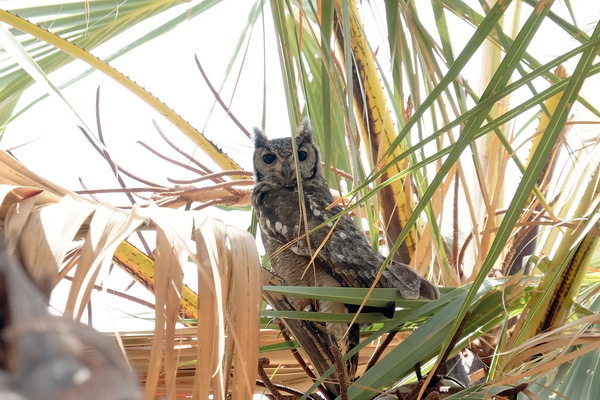 Someone (an eagle-owl) is watching! 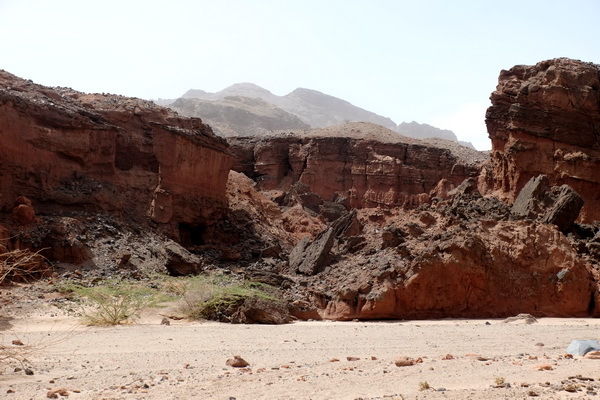 The pillar site is slightly elevated compared to the surrounding landscape and has fantastic views! 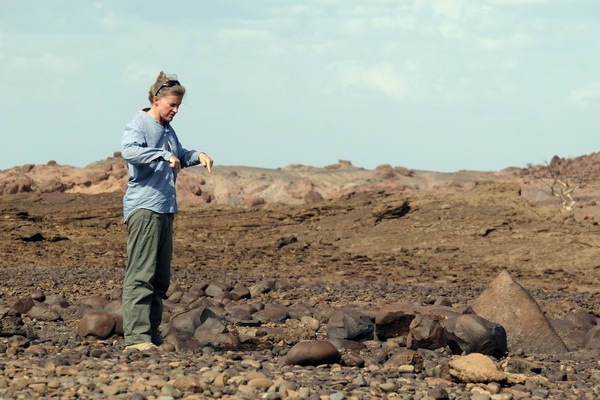 But 5000 years ago, when people started building the site, it would have been at the shores of Lake Turkana! 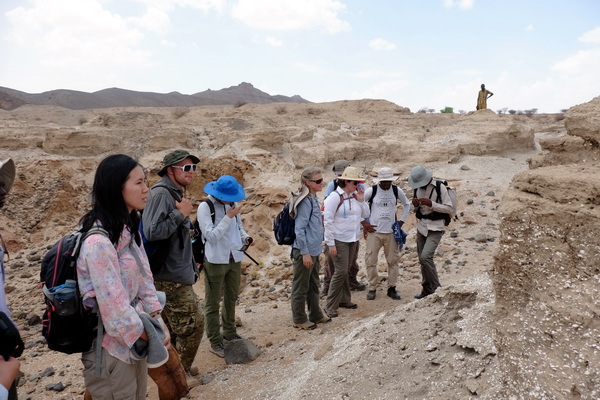 Professor Hildebrand took students around the pillar site to appreciate the size of the stone structures. Both the platforms and pillars are so large that they would have required either multiple people or multiple years to construct. 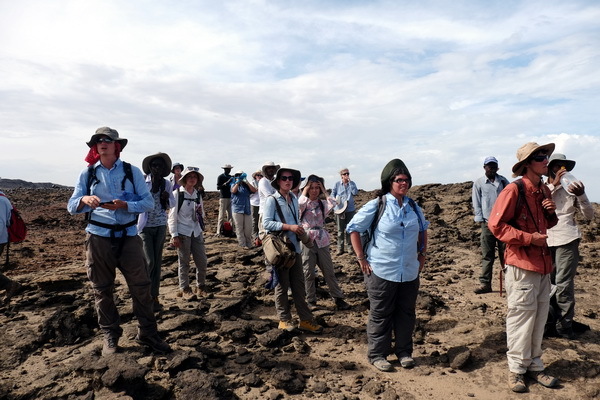 Professor Hildebrand also talked about the innovative culture of pastoralism associated with the site and its significance along the migration routes of the Great Rift Valley. 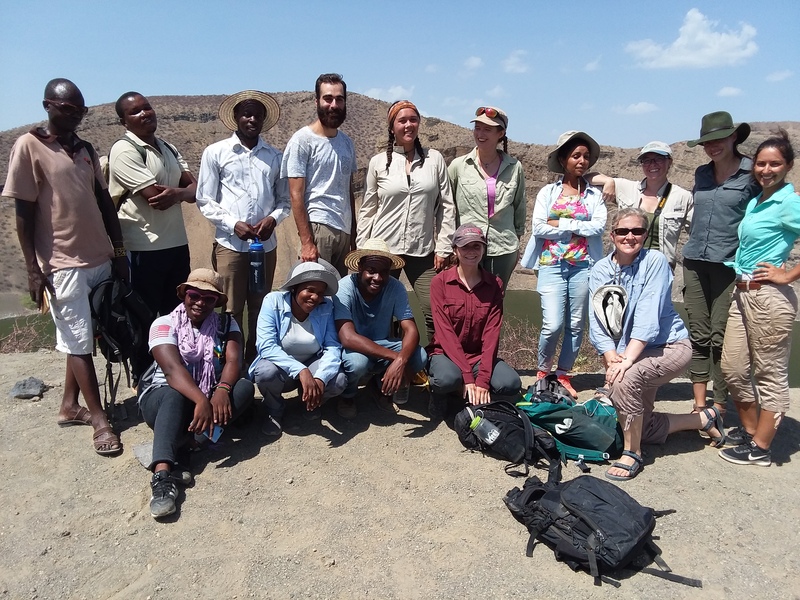 After a hot and sweaty day in Lothagam, students were utterly amazed by how diverse and beautiful the landscapes of the Turkana Basin can be. 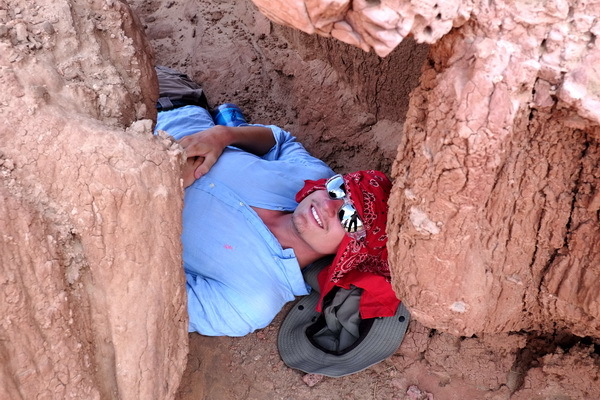 Stay tuned for more archaeological adventures of the Origins Field School!